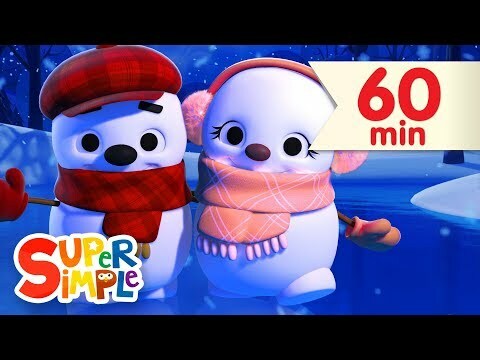 Little Snowflake More Nursery Rhymes Kids Songs Super Simple Songs....! 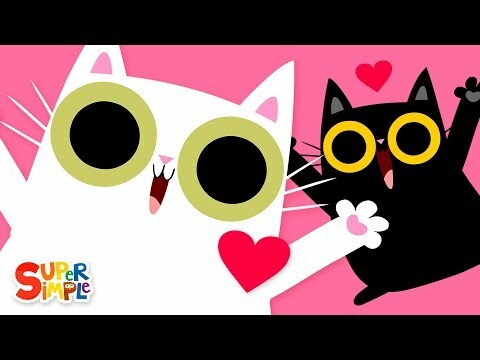 💗Skidamarink + More is a collection of our favorite nursery rhymes and kids songs, just in time for Valentine's Day! Have a happy #ValentinesDay ! 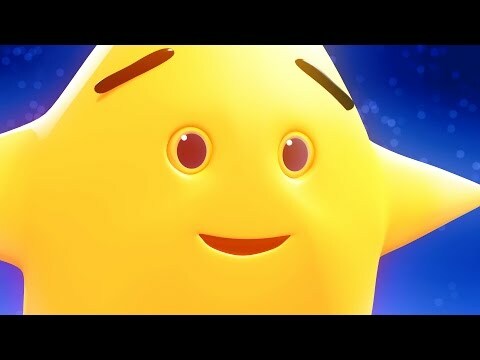 ****** Song List: Skidamarink (Animated Version) - 0:00:07 Little Snowflake - 0:02:23 Twinkle Twinkle Little Star - 0:04:38 We All Fall Down - 0:07:07 Head Shoulders Knees And Toes (Speeding Up) - 0:09:04 If You’re Happy - 0:10:52 The Animals On The Farm - 0:12:44 Wag Your Tail - 0:15:48 Open Shut Them - 0:18:29 I See Something Pink - 0:20:53 Counting Bananas - 0:23:42 Yes, I Can! 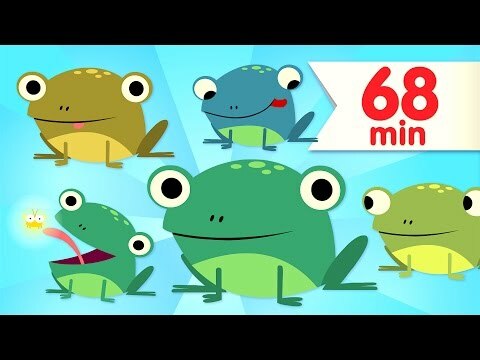 - 0:25:07 Make A Circle - 0:28:28 Head Shoulders Knees And Toes (Sing It) - 0:29:30 Do You Like Spaghetti Yogurt? - 0:30:26 Count Down And Move - 0:32:53 I Have A Pet - 0:34:03 Ten In The Bed - 0:36:12 Old McDonald - 0:38:43 The Pinocchio - ):42:12 How’s The Weather? 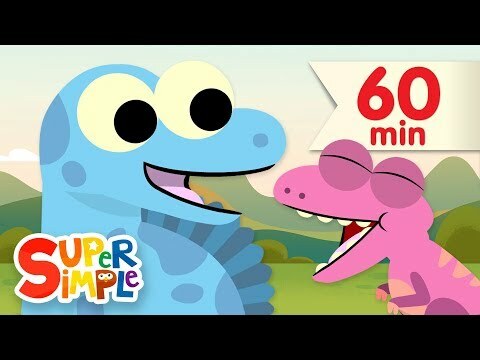 - 0:45:21 Uh-huh - 0:47:11 The Shape Song #2 - 0:48:43 Rain Rain Go Away - 0:52:48 ***** Super Simple Songs® and Super Simple Learning® are registered trademarks of Super Simple Learning, Inc. The Pinocchio is a great song for circle-time! 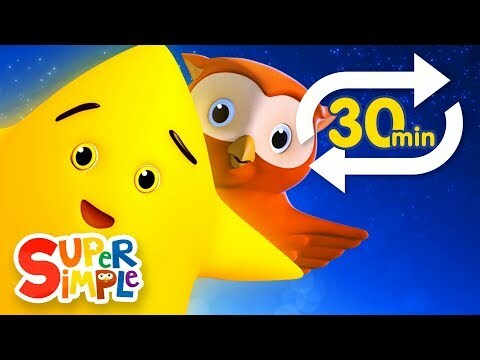 Followed by more of your favorite kid songs and nursery rhymes from Super Simple Songs! *** A note about LEFT & RIGHT. 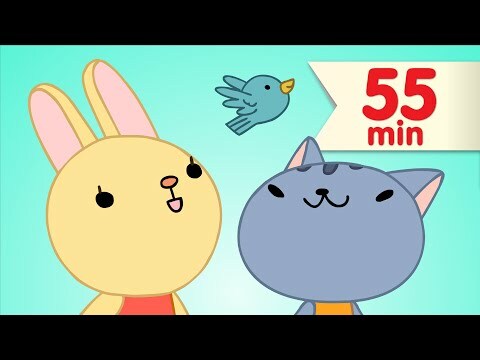 We create kids song and nursery rhyme videos for teachers and parents to share primarily with very young learners (Pre-K and younger.) Those young learners, when dancing along with the video will almost always mirror the actions in the video. So you'll notice that, like an aerobics teacher leading a class, the characters in the video mirror their actions so it's easy to dance along with. Song List: The Pinocchio - 00:00:07 Uh-huh - 00:03:16 The Wheels On The Bus - 00:04:48 Rain Rain Go Away - 00:07:15 Do You Like Spaghetti Yogurt? - 00:09:30 We All Fall Down - 00:11:55 The Eensy Weensy Spider - 00:13:54 The Shape Song #1 - 00:15:57 Rock Scissors Paper Fingerplay #1 - 00:20:05 Let’s Go To The Zoo - 00:21:49 Head Shoulders Knees & Toes (Speeding Up) - 00:25:30 Old McDonald - 00:27:19 Count And Move - 00:30:48 I See Something Blue - 00:31:58 Hello! - 00:34:47 Put On Your Shoes - 00:36:06 Ten In The Bed - 00:39:00 BINGO - 00:41:31 Yes, I Can! - 00:44:17 Count Down And Move - 00:47:37 One Little Finger - 00:48:48 Five Little Monkeys - 00:51:00 Little Snowflake - 00:53:04 After A While, Crocodile - 00:55:18 Super Simple Songs® and Super Simple Learning® are registered trademarks of Super Simple Learning, Inc.
Do you like snow-flex? Who doesn't like little snow flexes? 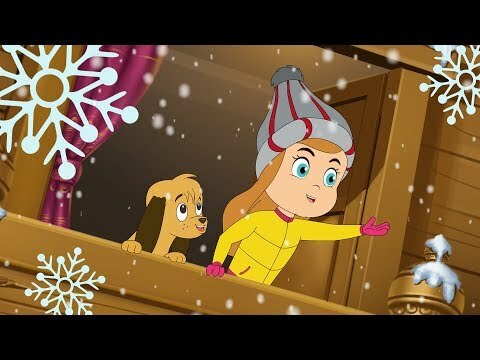 In this song, a little dog is running around her master and they both are having fun in the winter weather and playing with the snow flex falling from the sky. 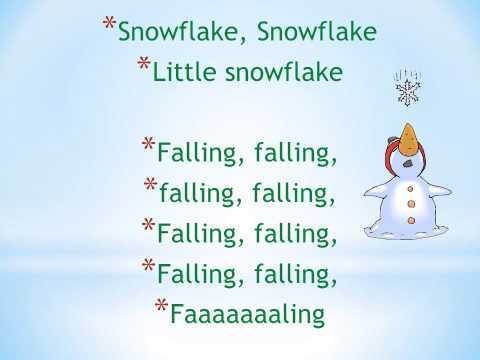 #NurseryRhymes #LittleSnowflake #snowflakes Copyright - Source Animation, India. All Rights Reserved. 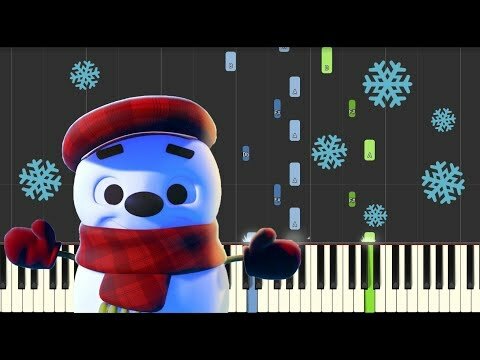 I'm A Little Snowman is a super simple, super cute, and super fun little song for kids to sing in the classroom, at winter holiday parties, and at home! 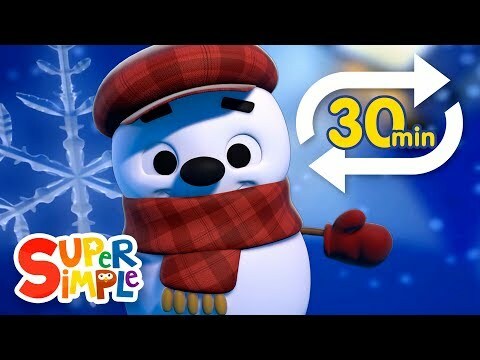 Followed by more of your favorite Super Simple Songs, including Little Snowflake, Goodbye Snowman, Jingle Bells, and more! 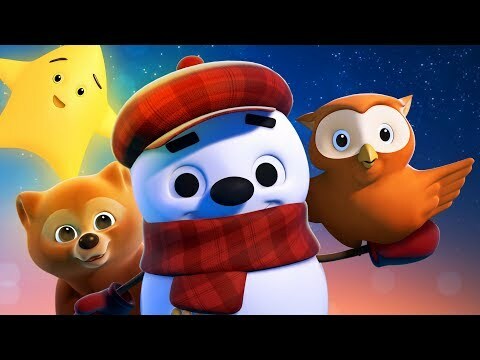 Song List: I’m A Little Snowman - 00:00:07 Little Snowflake - 0:01:25 Hello, Reindeer - 0:03:40 Jingle Bells - 0:04:47 Goodbye, Snowman - 0:07:34 The Wheels On The Bus - 0:08:30 The Animals On The Farm - 0:10:57 Open Shut Them - 0:14:01 I Have A Pet - 0:16:25 Eeney Meeney Miney Moe - 0:18:34 BINGO - 0:19:32 How’s The Weather? 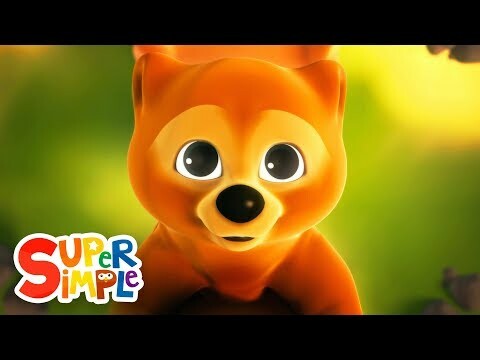 - 0:22:18 My Teddy Bear - 0:24:08 Wag Your Tail - 0:26:10 What Do You Hear? 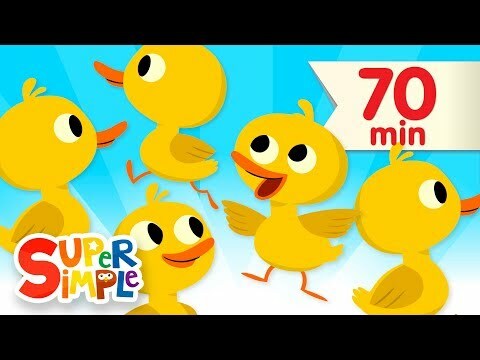 - 0:28:51 Rock Scissors Paper Fingerplay #1 - 0:31:54 Good Morning, Mr. Rooster - 0:33:39 The Super Simple Alphabet Song - 0:34:30 The Shape Song #1 - 0:35:47 Yes, I Can! 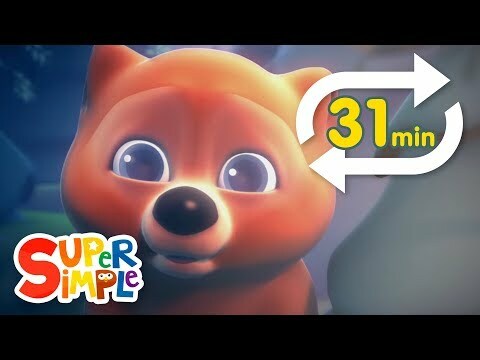 - 0:39:54 Let’s Go To The Zoo - 0:43:15 Hello! 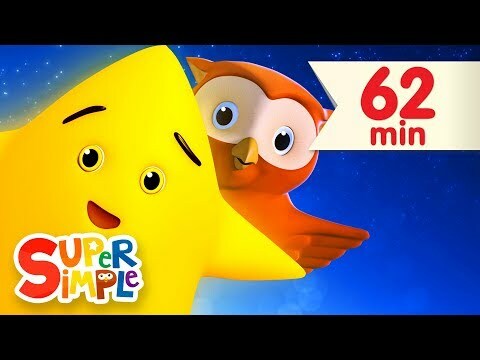 - 0:46:55 Head Shoulders Knees And Toes (Speeding Up) - 0:48:11 Five Little Monkeys - 0:49:59 Old McDonald - 0:52:03 ***** Super Simple Songs® and Super Simple Learning® are registered trademarks of Super Simple Learning, Inc.
My Teddy Bear + More | Kids Songs & Nursery Rhymes | Super Simple Songs Enjoy this collection of simple and sweet kids songs and popular nursery rhymes, starting with our favorite teddy bear song, My Teddy Bear. 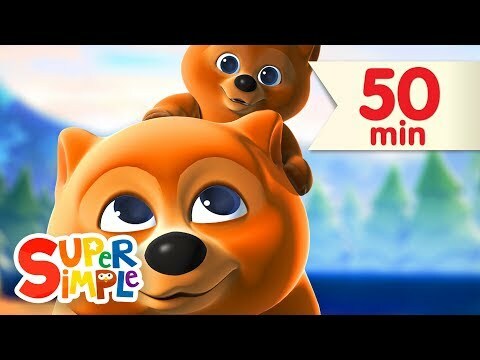 My Teddy Bear - 00:00:07 Twinkle Twinkle Little Star - 00:02:09 Skidamarink (Animated Version) - 00:04:38 Row Row Row Your Boat - 00:06:54 Little Snowflake - 00:08:48Kids How’s The Weather? - 00:11:03 The Bath Song - 00:12:53 Sweet Dreams (Goodnight Song) - 00:14:55 I See Something Pink - 00:17:48 Mary Had A Kangaroo - 00:20:37 What Do You Hear? - 00:23:19 One Little Finger - 00:26:22 If You’re Happy - 00:28:35 Open Shut Them - 00:30:27 The Months Chant - 00:32:51 Walking In The Jungle - 00:35:07 Counting Bananas - 00:38:33 I Have A Pet - 00:39:58 I See Something Blue - 00:42:07 Head Shoulders Knees & Toes (Speeding Up) - 00:44:57 One Potato, Two Potatoes - 00:46:45 Do You Like Broccoli Ice Cream? 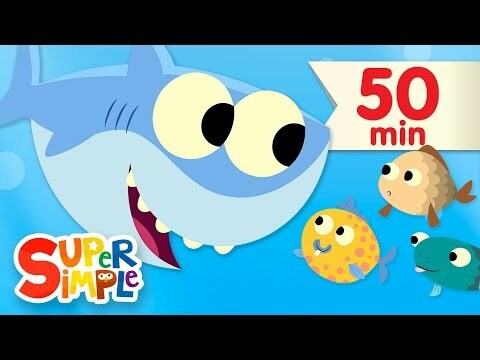 - 00:48:06 Super Simple Songs® and Super Simple Learning® are registered trademarks of Super Simple Learning, Inc. 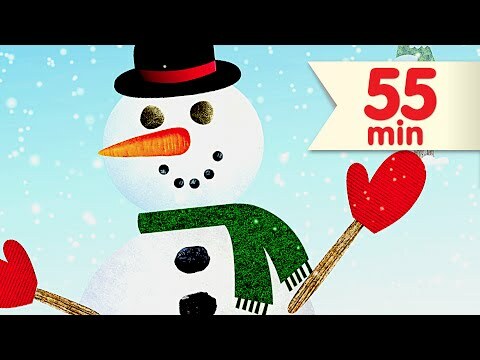 This Super Simple version of "We Wish You A Merry Christmas" teaches some fun actions (clapping, jumping, stomping, and whispering. 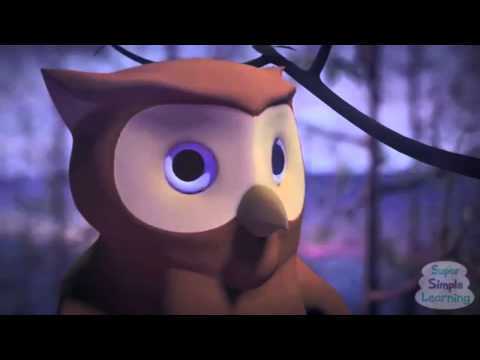 It's a great way to introduce this classic Christmas song to young learners. 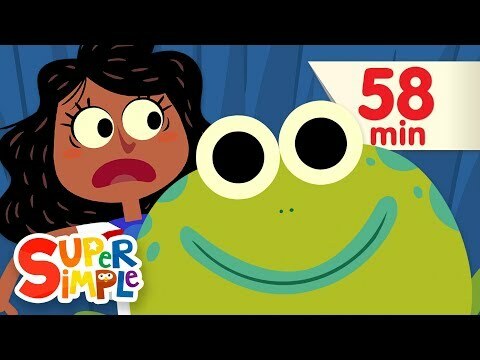 Plus, we've included many more of your favorite Super Simple Songs. Song List: We Wish You A Merry Christmas - 0:00:07 Jingle Bells - 0:01:55 Decorate The Christmas Tree - 0:04:42 Santa, Where Are You? - 0:07:27 10 Little Elves - 0:09:40 S-A-N-T-A - 0:13:04 What Do You Want For Christmas? 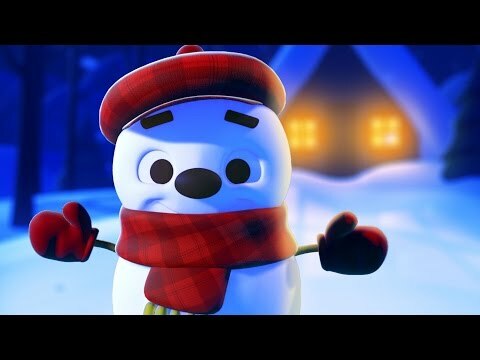 - 0:15:44 Hello, Reindeer - 0:19:00 I’m A Little Snowman - 0:20:07 Jingle Jingle Little Bell - 0:21:25 Santa’s On His Way - 0:23:37 Little Snowflake - 0:26:33 Goodbye, Snowman - 0:28:48 Super Simple Songs® and Super Simple Learning® are registered trademarks of Super Simple Learning, Inc. Enjoy this collection of 3 versions of Head Shoulders Knees & Toes + more parts of the body kids songs and nursery rhymes from Super Simple Songs :-) Song List: Head Shoulders Knees & Toes (Learn It) - 0:00:07 Head Shoulders Knees & Toes (Sing It) - 0:01:14 Head Shoulders Knees & Toes (Speeding Up) - 0:02:10 One Little Finger - 0:03:58 The Bath Song - 0:06:11 BINGO - 0:08:13 My Teddy Bear - 0:10:59 Wag Your Tail - 0:13:01 The Skeleton Dance - 0:15:42 Little Snowflake - 0:17:24 Put On Your Shoes - 0:19:39 Old McDonald - 0:22:34 Row Row Row Your Boat - 0:26:03 I Have A Pet - 0:27:57 Count And Move - 0:30:06 I See Something Blue - 0:31:16 Skidamarink (Animated Version) - 0:34:06 The Wheels On The Bus - 0:36:22 Five Little Monkeys - 0:38:49 The Pinocchio - 0:40:53 Let’s Go To The Zoo - 0:44:02 Rock Scissors Paper Fingerplay #2 - 0:47:42 What Do You Hear? 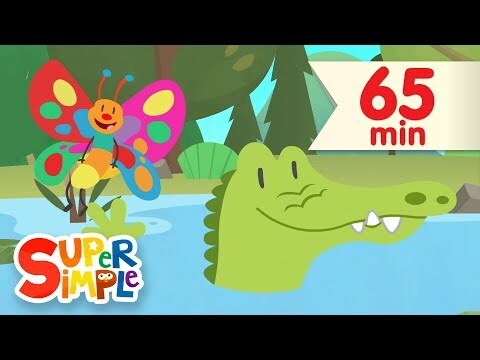 - 0:49:27 The Eensy Weensy Spider - 0:52:30 Counting Bananas - 0:54:33 Mary Had A Kangaroo - 0:55:58 Uh-huh - 0:58:40 Super Simple Songs® and Super Simple Learning® are registered trademarks of Super Simple Learning, Inc. 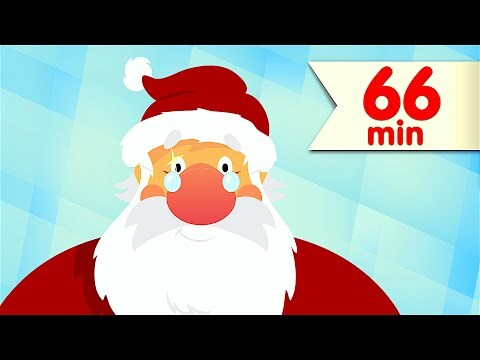 Kids love singing about SANTA with this super simple BINGO-style Christmas song, followed by more of our most popular kids songs and nursery rhymes. Thanks, Santa! ****** S-A-N-T-A - 0:00:07 Santa, Where Are You? 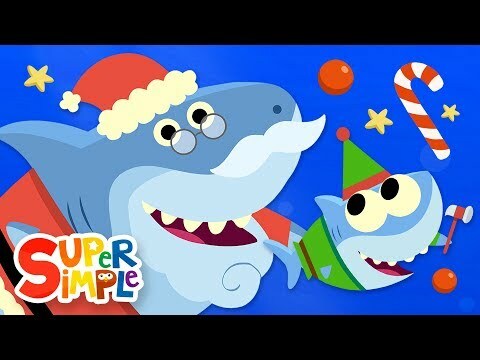 - 0:02:47 We Wish You A Merry Christmas - 0:05:00 BINGO - 0:06:48 The Alphabet Song - 0:09:34 The Super Simple Alphabet Song (Uppercase) - 0:12:29 Hello A, Hello Z - 0:13:46 Mary Had A Kangaroo - 0:14:41 Rain Rain Go Away - 0:17:23 Skidamarink (Animated Version) - 0:19:38 The Wheels On The Bus - 0:21:54 Uh-huh - 0:24:21 Who Took The Cookie? 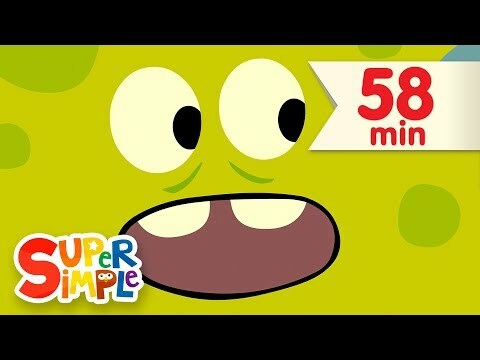 - 0:25:53 Yes, I Can! 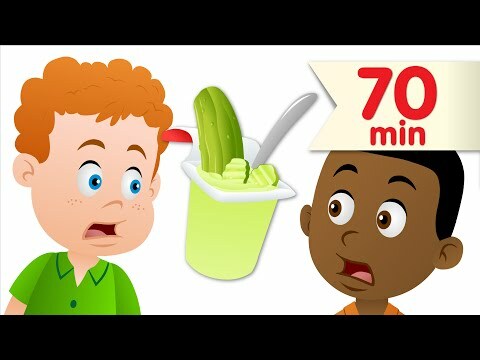 - 0:27:51 Rock Scissors Paper Fingerplay #2 - 0:31:12 Open Shut Them - 0:32:57 One Little Finger - 0:35:21 I See Something Blue - 0:37:34 Do You Like Spaghetti Yogurt? - 0:40:24 Little Snowflake - 0:42:49 The Shape Song #2 - 0:45:04 My Teddy Bear - 0:49:09 Row Row Row Your Boat - 0:51:11 The Bath Song - 0:53:05 One Potato, Two Potatoes - 0:55:07 The Animals On The Farm - 0:56:28 The Eensy Weensy Spider - 0:59:32 What Do You Hear? 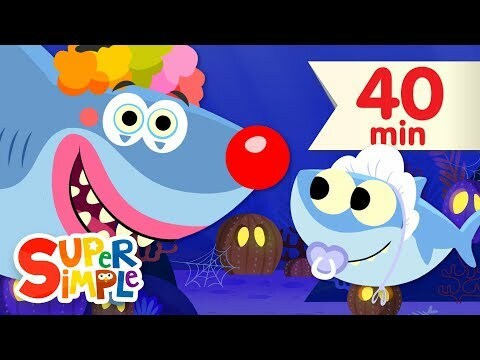 - 1:01:35 Goodbye A, Goodbye Z - 1:04:38 ***** Super Simple Songs® and Super Simple Learning® are registered trademarks of Super Simple Learning, Inc.
🎶 42 minutes of classic kids songs & nursery rhymes, Super Simple style 😀. 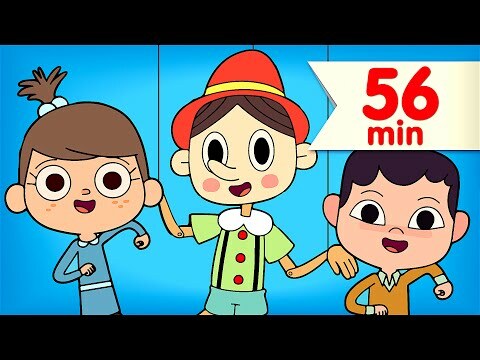 🎬 Watch 60 minutes of our best kids songs here→ https://youtu.be/wk4KHNJjpjQ? 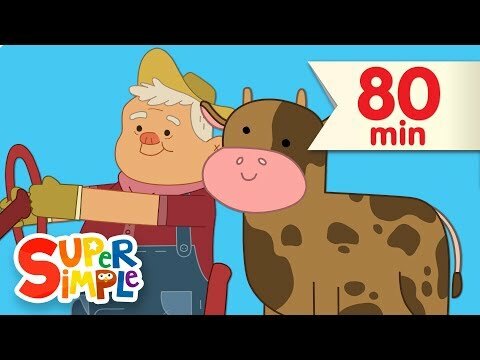 ❤️ Subscribe for more songs→ https://www.youtube.com/c/supersimplesongs?sub_confirmation=1 Let us know what nursery rhyme you would like to see next! 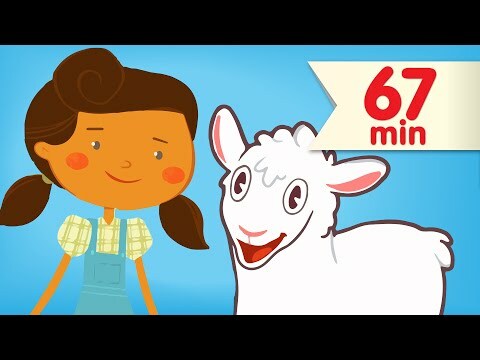 ***** Super Simple Songs® and Super Simple Learning® are registered trademarks of Skyship Entertainment Company, Inc.
You know that Mary had a little lamb, but did you know about her other pets? Learn more about them in Mary Had A Kangaroo, followed by more of your favorite songs. Over one hour in all! Song List Mary Had A Kangaroo 0:00 The Wheels On The Bus 2:41 Old McDonald Had A Farm 5:08 If You’re Happy 8:38 Hickory Dickory...Crash! 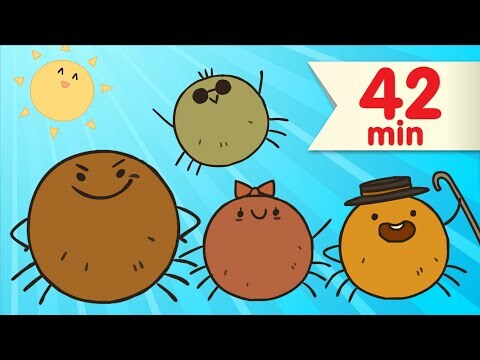 10:30 BINGO 13:17 Five Little Monkeys 16:03 Row Row Row Your Boat 18:07 One Little Finger 20:00 Head Shoulders Knees & Toes (Learn It) 22:15 Head Shoulders Knees & Toes (Sing It) 23:22 Open Shut Them 24:17 Skidamarink (Animated Version) 26:41 Ten In The Bed 28:57 The Super Simple Alphabet Song 31:27 One Potato, Two Potatoes 32:42 Twinkle Twinkle Little Star 34:04 Jingle Bells 36:33 Walking In The Jungle 39:21 Yes, I Can! 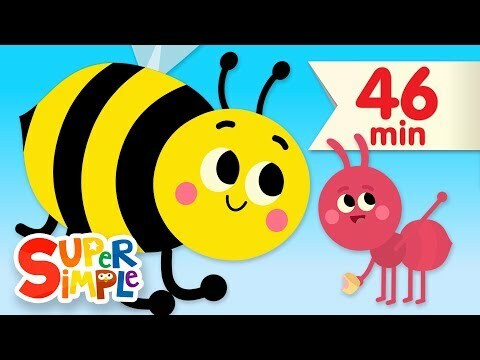 42:47 The Animals On The Farm 46:08 I See Something Blue 49:10 7 Steps 52:00 Skidamarink (Puppet Version) 53:55 Hello A, Hello Z 56:22 Little Snowflake 57:14 I See Something Pink 59:25 Sweet Dreams (Goodnight Song) 1:02:13 My Teddy Bear 1:05:04 ***** All original and adapted songs, and all arrangements, copyright Super Simple Learning. 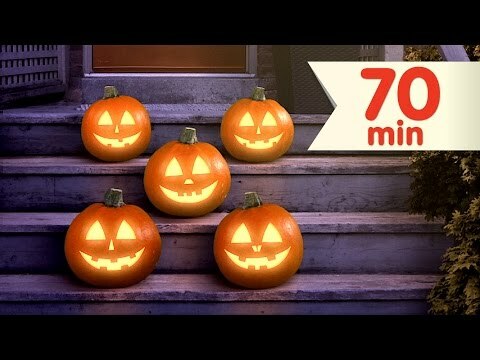 ****** Thank you very much for watching and sharing. We upload new videos every Wednesday! 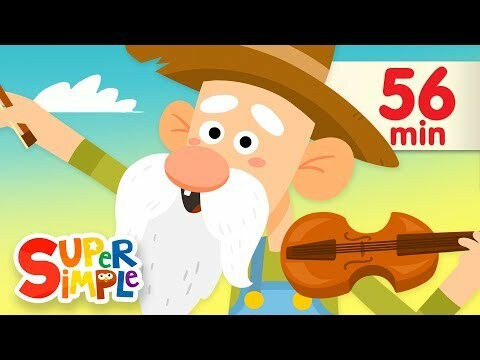 To make sure you get our latest, subscribe here: http://bit.ly/SSSYTsubscribe ****** Get FREE resources like coloring sheets, games, flashcards, and worksheets for most of these songs in the Super Simple Learning Resource Center: http://supersimplelearning.com/resource-center/ ****** Super Simple Songs® and Super Simple Learning® are registered trademarks of Super Simple Learning, Inc.